The mask has fallen! This is the statement of European agricultural, rural and forestry contractors who met in Padua on 15 June for the annual General Assembly of CEETTAR, their European representative organisation. The concerns expressed by CEETTAR on 2 May regarding the CAP budget are confirmed by the Commission itself: in constant euros, the CAP budget reduction will be 12 % compared to 2018. This further reduction will be in addition to the loss already incurred in 2014. This will be compouned by the effects of external convergence which the Commission intends to strengthen to the detriment of some Member States. “Europe needs for the future a strong Common Agricultural Policy able to sustain the socio-economic function of the agricultural sector, which remains essential for entrepreneurs” reminded Klaus Pentzlin, President of CEETTAR. Among the most contested points is the proposal to cap direct aids at 100.000 euros. The methods of calculating wages costs, which modulate the ceiling level, are unacceptable to CEETTAR. The labour costs to be used in the calculations must take account of the direct and indirect employment of the agricultural holding. 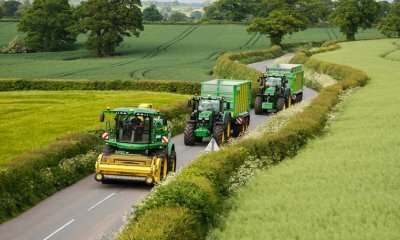 Farmers working with agricultural contractors for reasons of economic and environmental efficiency should not be penalised in the calculation, quite the contrary! “We need to move from a culture of spending to a culture of performance, with a CAP focused mainly on tangible results, this has been the message of agricultural contractors for years” stressed Klaus Pentzlin. He added: “By relying on entrepreneurs, the Commission can improve both the efficiency of the CAP and ensure the competitiveness and sustainability of European agriculture”. For this reason, it is unacceptable that the essential contribution of agricultural contractors to farmers and to the economic dynamism of rural areas should be neglected. “A more ambitious, effective and balanced CAP ? Today, we are a long way off!” This is the message that agricultural contractors and their representatives will take to European and national decision-makers.